Pre construction pricing on this stunning 5896* sq. Ft. Under air, 7953 sq. 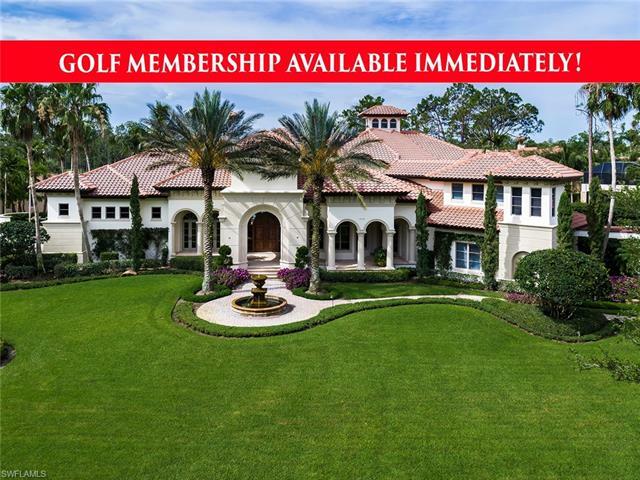 Ft. Totalhome located in the heart of olde naples. Just 2 homes from the beach and 2 blocks to 5th ave s this home will feature exquisite interior finishes, five full bedrooms including 2 master suits, den, loft, 5 full baths 1 half bath, elevator, extensive pool complex with spa, outdoor kitchen and bar, outdoor fireplace and lounge. Full 3. 5 car garage with access for 2 of them off the rear alley. South western exposure. Brought to you by limitless development,stofft cooney architects, waterside builders and clive daniel homes. Plans, finishes, and renderings upon request. Note: all information provided in this listing is subject to change during planning/ building process. H. 13867 - magnificent custom two-story home in aqualane shores is located perfectly with breathtaking views of naples bay and a short walk to the 3rd street shopping and white sandy beaches. Newer construction, this home offers direct waterfront access on bittern channel. This spectacular great room floor plan boasts 5 ensuite bedrooms with 5 baths, including two first floor master suites. A professional chefs kitchen with top line appliances including wolf, sub zero, bosch and miele are an entertainers dream. Soaring ceilings with disappearing sliders open to an outside covered entertaining area with a fireplace, outdoor kitchen, and automated hidden screens and shutters. The second floor includes a spacious loft and bar area, an exercise/hobby room and mahogany office opening up to a spacious outdoor entertainment area with fabulous views of naples bay. Hand scraped walnut wood floors throughout, and gorgeous design details make this a must see. A 3-car air-conditioned garage and extra storage garage for kayaks/ boating/fishing equipment. The covered boat house with 13,000 lb lift and a 40 ft extra yacht dock are situated in one of the best direct-access gulf neighborhoods. H. 13061 - situated among the huge banyan trees and mature landscape of coquina sands, this rugged yet modern home delivers warmth and sophistication while providing an unmatched living experience. The uniquely shaped lot offers a huge side yard with ultimate privacy and allows for a 60 resort-style lap pool with a fountain wall. Spend warm afternoons relaxing on multiple pool decks and entertain family and friends with the well-appointed chefs summer kitchen, and outdoor dining/living areas equipped with a bioflame fireplace and electric screens and hurricane shutters. Designed by the world-renowned kronen design company this custom built homes interior includes: a mahogany entry door, over-sized porcelain tile and wide board oak flooring, wood-accented ceilings with led accent lighting, control 4 automation, 6 security cameras, and a temperature controlled wine room with a changing led bartop serves as the home's centerpiece. Take the glass elevator to the second floor where youll find two guest suites, a gracious loft area, a study, and an expansive master suite. The master suite includes: steam shower, his and hers toto toilets, marble floors, and granite counter-tops. Agents see commission schedule. Introducing the cottages off fifth, two luxury fully decorated single-family residences nestled along park street just steps to the famed 5th avenue south shopping and dining district, the renowned tennis facilities of cambier park and the pristine beaches of old naples. Recently featured by naples daily & penned by mhk architecture & planning, constructed by lotus construction, llc and masterfully appointed by clive daniel & calusa bay designs, this 3-bedroom plus den plus 2nd floor loft home offers a great room plan, ground floor master suite configuration and spectacular outdoor living space complete with private pool and spa, custom designed wet wall feature, outdoor wood burning fireplace, western exposure and lake view. Featuring farmhouse chic design elements, this home will offer the finest in interior and exterior appointments. Construction features include (but not limited to) cbs construction for all floors, andersen impact windows,wolf/subzero appliances, direct natural gas feed, custom ruffino cabinetry, energy efficient spray-insulation, automated patio screens please visit our website 760parkstreet. Com to learn more!